Why Do People Like Ronald Reagan So Much? I spent 17 hours at a birthday party for the Gipper to find out. Over the next few months, the dedicated Reagan fan will have numerous opportunities to celebrate the fortieth president. There are tributes at a NASCAR race in California in late March and at Chicago’s Wrigley Field in early August. The Gipper’s hometown— Dixon, Illinois—will host a “Dutch” ice cream social in September; Washington will throw a gala in May, and London will unveil a statue on July 4. The occasion, of course, is that 2011 is the one-hundredth anniversary of Reagan’s birth. Recently, I attended one of these gatherings: a 17-hour birthday bash for the Gipper at the Rope Walk Tavern in Baltimore, a handsome brick building in the gentrifying enclave of Federal Hill. Baltimore may seem like an unlikely locale for such an event—the city hasn’t elected a Republican mayor in 44 years—but that didn't deter one of the bar’s owners, Marc McFaul. By mid-morning, cars lined up in the parking deck, featuring bumper stickers like “What Would Reagan Do?” and “America needs Ronald Reagan now more than ever.” Inside, the tavern featured three murals of the late president, two Reagan busts, and two life-size bronze statues imported from Thailand. 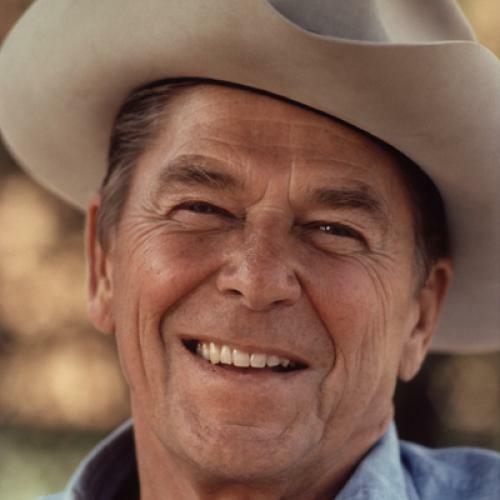 To anyone who lives in Washington, it can seem like every year is Reagan’s special year—conservative think tanks and politicians constantly invoke his name. But the many events occurring around the country this year had made me curious about a different type of fan: regular people who just really, really love Reagan. I hoped that, at the Rope Walk Tavern, I could figure out why. Still, the roots of McFaul’s Reagan mania are a bit of a mystery, even to those who know him best. After all, he was just nine when Reagan made it to the Oval Office, and McFaul never actually voted for the Gipper. “We were conservative, but I really don’t know how Marc got to be how he is,” said Carolyn McFaul, Marc’s mother, who was wearing an orange sweatshirt screen-printed with Reagan’s face. “He gets fanatical about things,” was his older sister Christy’s take. When I put the question directly to McFaul, his answer was oddly unsatisfying—he admires Reagan’s integrity and humor, that he was a good guy, he said. As the bar filled up, I asked some of the other patrons about why they were there, and their answers, too, were often generic. “He was a man’s man.” “He knew what he believed in.” “He loved America and made Americans proud to be Americans.” No one mentioned his policies.